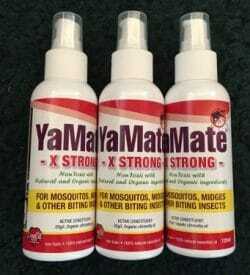 YaMate Spray is an all natural insect repellant that is made with organic ingredients and 100% natural essential oils – totally non toxic. And it really works!! YaMate Spray protects from mosquitoes, midges, sandflies, ticks, ants fleas, mites, leaches…..
YaMate Spray doesnt contain any harmful chemicals or synthetic frangrances. 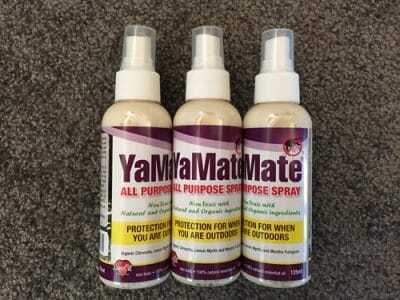 This product is used by spraying on your body and clothes or spray it on the curtains, bedspread and furnishings.